All international flights arrive in Ministro Pistarini Airport (EZE), while domestic flights depart from Newbery Airport (AEP). Both airports can be connected by regular or private (bilingual) shuttle service. 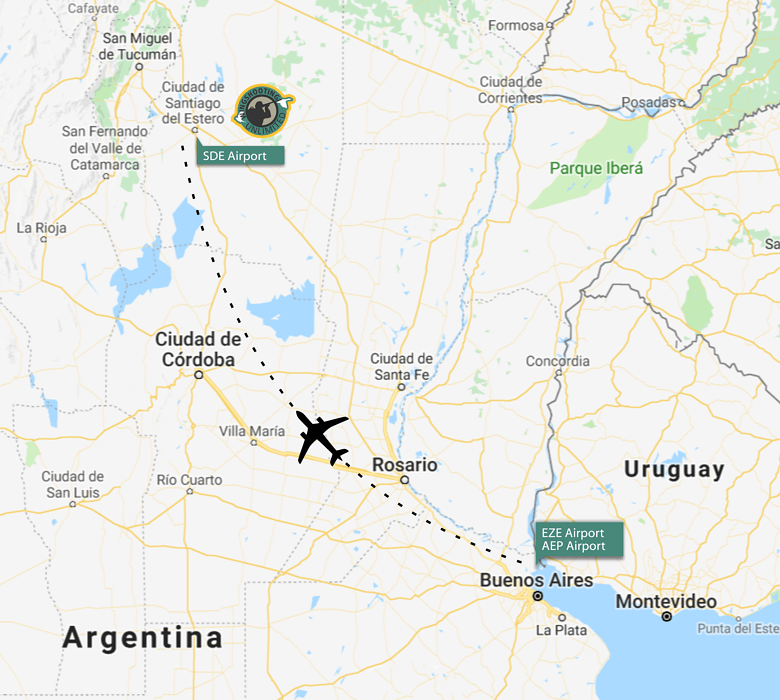 Santiago del Estero (SDE) is ninety minutes from Buenos Aires. Aerolíneas Argentinas flies daily, except on Fridays and Sundays. Facundo, owner of the company, meets all hunters at SDE airport and drives them to Namuncurá or La Pichona Lodge, about 20 miles away.